Don’t show me the money…. | Smile, God Loves You! Don’t show me the money…. There’s more to work than earning money! It’s reasonable to say that most people work to earn a living, but there are many people within our own communities who are committed to perform specific duties at a job and yet don’t get paid. Why? Because their passion to see something accomplished to help someone is greater than their own desire to earn money. Not everyone can do this because family responsibilties dictate that they get paid, but even in their spare time many people will devote their attention to a charitable cause. Deborah Owen is one of these special people. Like many of us, she knows what it’s like to have a loved one diagnosed with cancer and then watch their hope fade as the enemy of life slithers in to steal it. She realized a few years ago that it’s easy for them to surrender to the circumstances and just give up. BUT the Lord impressed upon her to help give them a goal because it can aid in the healing process. Ms. Owen has established an online writing institution with professional tutors and curriculum, and its purpose is to help people fill their writing dream. The students are inspired to turn this dream into a reality and to focus on the positive things in their life and not the negative. The courses are designed for people of all ages from 14 to 80 who want to learn to write professionally. This is not only an academic training school but it’s therapy that works! “If I could say one thing to all writers it would be to make writing a priority in life. If they must let something go – don’t make it writing. Nurture the vapor that struggles to release through the vents or the vapor will disappear. I call it the death of a writer… but it happens slowly and painlessly. They awaken one day and realize their urge for writing is gone, and that’s so sad.” …Deborah Owens. When they give up on their dream, they give up on life. 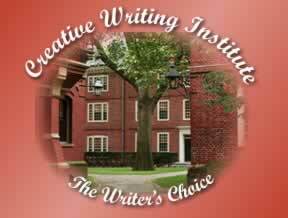 The Creative Writing Institute has become a successful venue for the healing and hope of many patients, as well as an encouraging learning center for those who just want to learn to write. Since many of the students aren’t in a financial position to pay the $200 tuition fee for the writing courses, Ms. Owen does not receive any personal financial gain. Her reward is giving the opportunity and inspiration of hope to the downtrodden . Please visit the official website and see for yourself what God is doing through this woman’s life and how her devotion to the sick and the poor has become a beacon for thousands of people. What better way to show your passion of Christmas than to sponsor a cancer patient and give them the hope of a better tomorrow? Some may still lose the battle but you will give them a bit of joy today and you will help to relieve their agony as they see their dream of writing come to pass. There are amazing testimonies from writers who had given up their dream when life’s circumstances turned bad, yet through this woman’s persistence they have overcome and have become writers. God heals but often that healing is dependent on how we view our own circumstances. ← Who Believes in Miracles any more….